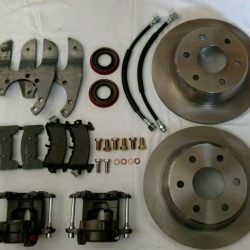 We’ve got disc brake conversion kits for 14 bolt axles produced between 1973 and 1999. 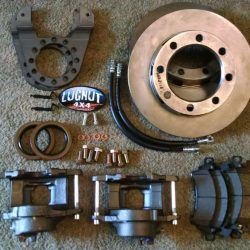 To order a kit, you need to determine if your 14 bolt axle is either a full-float or semi-float design. 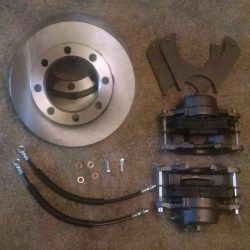 Additionally, if you have a full-float axle, there are two styles of brake drum attachment. The “older” style has the drum held on by the studs, while the newer style has a slide-on drum. You need to know which type you have to order the right kit. Finally, if you don’t know which 14 bolt axle you have, no problem! Read our 14 bolt axle identification guide and you’ll know what you have.